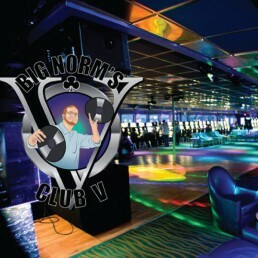 Enjoy the good vibes in Big Norm’s Club V every day of the week. Victory offers an array of live entertainment with some of Florida’s finest musicians. On Friday and Saturday nights, Big Norm’s Club V steps it up with its chic club atmosphere, heavy-hitting sound and performances from internationally and locally renowned DJs and musicians. Intimate special acts meant for thousands are performed for only hundreds in Big Norm’s Club V.